Buhari made the disclosure on Monday, August 3, 2015, while receiving a delegation of United States Congressmen at the Presidential Villa in Abuja. 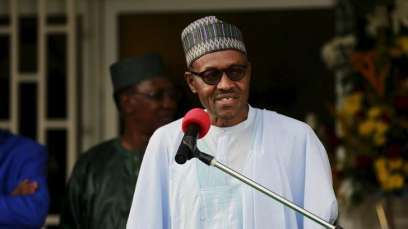 President Muhammadu Buhari has said that his administration is currently identifying banks, financial institutions and countries where Nigeria’s stolen oil funds are being kept. The president’s comments were contained in a statement released by his media aide, Femi Adesina. Buhari had earlier revealed, via an opinion piece written in the Washington Post, that he would enlist the US’ help in recovering Nigeria’s stolen funds.